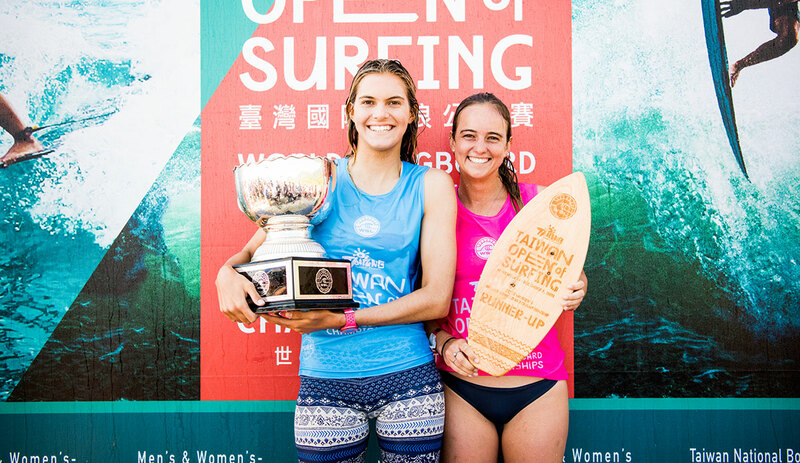 When the horn sounded to signify the end of the finals at the 2018 WSL Women’s World Longboard Championship at the Taiwan Open of Surfing, Soleil Errico couldn’t quite fathom what just happened. “I don’t even know what to say right now,” she said. “This doesn’t feel real.” What happened was that Errico, a 17-year-old from Malibu, California, had just become a world champion. It was a thrilling final at Taiwan’s Jinzun Harbor. Surfing against 2015 world champion Rachael Tilly, Errico spent most of the heat playing catch up. Tilly was sitting at 14.27 in before the halfway point in the heat, meaning that Errico spent almost the entire heat chasing scores. It wasn’t until the dying minutes of the heat that she found her way onto a beautiful wave that netted her an 8.23 that she was in the lead—a lead she would hold onto until the end. It’s a stunning result, considering at her first World Championship appearance, she ended up in equal last. “I’m just so happy that all of the hard work I have put in has paid off,” she said after her win. “It’s been such an amazing week here and to be honest I never thought it would end this way. I just wanted to do better than last year. It was cool to come up against Rachael in the final as we have surfed against each other a lot. She is an amazing surfer and a really tough competitor so I knew it would be hard and as I imagined she got the upper hand at the start. I’m just so happy I found a way back but as I said, this doesn’t actually feel like real life.